Anik Singal is not an uncommon name in the internet marketing world. He is an entrepreneur, a motivational speaker and the brainchild who created the latest comprehensive online learning platform called Lurn. Anik has big plans to turn it into a resource center for digital entrepreneurs so you can find all sorts of courses in there. One in particular is called the Lurn Insider which is a 21 day course to help you launch a passive online business. If you’ve come across the main sign-up page, I’m sure you’ll be very tempted to join, but hold that thought for a minute or at least until after reading this review. It all started while I was searching for something online when the name Robert Kiyosaki surfaced. Many of you might not know this, but he was one of the few people who influenced me to go into affiliate marketing a few years ago. His renowned book, Rich Dad Poor Dad, introduced me to the idea of passive income creation and needless to say, I was hooked ever since. Anyway, I found out that he was collaborating with some digital marketers (Anik being one of them) to host a two day motivational talk called the Lurn Summit. The event is basically a virtual talk that can be accessed from all over the world and included inside the pass, is a trial for the Lurn Insider program. I’ve heard a lot of stories about Anik, but never bought any of his programs before. 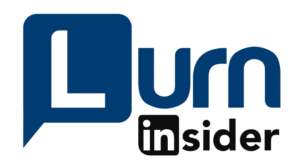 Seeing that I’ve nothing to lose here, I took the opportunity to find out what is Lurn Insider all about. 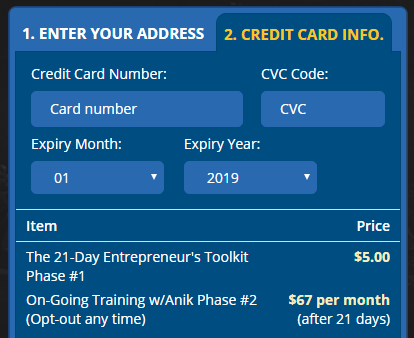 The program is a step-by-step video training that reveals the exact system Anik personally used to build his online business so that you can duplicate the strategies and use it as your own. Designed for beginners and intermediate learners in mind, the course is generally divided into two phases. In the first phase, you’ll be going through three sets of lessons; the first two talk about empowering the mindset and embracing entrepreneurialism while the third one, which is also the core training, will teach about how to build an online business from selecting a niche to tracking data conversion. Weekly coaching by Anik, his team and other prominent digital marketers. Exposure to new online marketing skills every month. Networking and support from their private Facebook community. Apart from content, the main difference between the two phases is the period of accessibility. For the first phase, you’ll pay a minimal fee to try the course for 21 days and then, a full monthly fee will be applied in order to continue into the second phase. There are two ways to join the program on a trial basis. If you signed up when the Lurn Summit is launched, the fee is only $1. However, the virtual event is only held a couple times a year, so if you missed it, you may also sign up through the official homepage and ‘pay’ a contribution of $5. It’s called in such a way because apparently, the fee is used to support Anik’s philanthropic mission to help a poor village in East Africa. The subsequent fee would cost $67 per month should you decide to remain as a member. So, after testing for 21 days, I found a few good things worth mentioning about the core training. 1 – With so many online scams lurking on the internet, it’s good to see a legitimate face that’s constantly showing up on the Lurn platform. Anik’s representation in the course is a strong testimonial that you’re likely to receive some knowledge of substantial quality. After all, he has made several appearances on Business Week magazine, multiple YouTube interviews and even on Ted Talks shows. That should speak volumes about his reputation, right? 2 – The quality of the training is not disappointing with high definition videos and professional PowerPoint presentations. Most run between 15 minutes to an hour and there are also downloadable PDFs as notes and references. Anik and his team did invest a lot of effort in here. 3 – Fundamental topics like online monetization technique, finding a profitable niche, and buying a domain name are important for beginners, so I am glad that they are covered in the earlier lessons. Midway through, the training becomes more intense as he gets into funnel building and email marketing. In Lesson 15, he actually gives away his free eBook called The Email Lifeline (sold in Amazon for about $18) and some email samples so that you can start crafting yours too. 4 – Most of Anik’s teaching is based on the affiliate marketing model which I think is the best route for any beginners to start an online business. There are many good products in the market that you can leverage from, promoting straight away, instead of having to create from zero and facing more challenges ahead. Besides the fact that Anik is a good marketer, he’s also a business person so it’s not surprising that he’s mostly teaching stuff that can make money online, in the shortest amount of time. Who doesn’t want that, right? Hence, you’d find him recommending some of these things instead. Whether it applies to you or not, is a different matter altogether. 1 – Anik loves digital products and his go-to site is the ClickBank network. Most sellers pay between 30% to 70% in sales commissions so the higher the selling price, the more income you can potentially make. But not all niches have them and if you do not favor using OR reviewing digital products, you may not have the inclination to promote them online either. In those cases, it might actually be easier to go with promoting physical products instead like becoming an Amazon Associate. Secondly, since most Clickbank vendors aren’t picky about who joins their programs, one can easily obtain the affiliate links by creating an account within the network. That means, there’s also the tendency for people to exploit their links in the online space and evade creating an affiliate website(not a web page). From the (savvy) internet users point of view, most of these promotions are related to scams or products with little value. I am sure you’ve seen some of these pages or emails before where the person is just trying to persuade you to click on a link and pushes you to make a transaction. That’s what happens when there’s a lack of regulations and when people become greedy. So while Clickbank is a well-known digital marketplace, it may not work for every niche or audience that you want to target. 2 – Creating a funnel is not a bad thing, but when you are promoting high-ticket offers, there’s always a sense of urgency and tendency for marketers to pitch a little (if not more). And that’s what you will be taught in the Lurn Insider program. From creating opt-in forms to promo pages, Anik will try to groom you with copy writing skills on how to grab readers attention and influence purchasing behaviors. In other words, you are trained to be a salesperson – sort of. Well, remember how annoyed you once were while shopping in the mall, when someone tries to push sell some products? The internet users – in general – hate this kind of tactics too. Just like the aggressive use of affiliate links, salesy content – if you aren’t careful about it – can trigger suspicion and distrust towards the promoted product or person. If you’ve always been a sales person, this strategy may come very naturally and that’s fine because your experience will guide you on what type of appropriate words to use. But if you’ve never been on the sales side like me, the process can be quite mind boggling. So you decide on which one to go with. 3 – If you are always focus on creating sales pages, chances are, you’ll be investing a lot of money on advertisement to get targeted traffic for conversion. How much are we looking at? Hundreds – if not thousands – of dollars per month. Most likely, you are going to put the eggs in different baskets so make sure you have enough budget to explore different platforms such as Facebook Ads, YouTube Ads and even solo ads (recommended by Anik). Don’t know what the last one is all about? My review on The Digital Marketing Mastermind will shed some light on why solo ads is a risky tactic. 4 – What about free traffic generation method – the ‘boring stuff’ like SEO, writing good quality content and doing keyword research? It appears that Anik is not a fan of this strategy because it’s ‘too time consuming’ and ‘slow’ in his opinion. The most he offers on the subject matter (within the core training) is a 30 minute plus video which you’d find much later in Lesson 16. The fact that it’s a long winded process makes it even more important to start from the beginning because it serves as a good foundation for any other marketing strategies that you would want to apply in the future. SEO can offer a vast opportunity to engage with a wider audience, making you look more professional without having to push sell all the time. That’s something worth thinking about. So, Is Lurn Insider Worth Your Time? 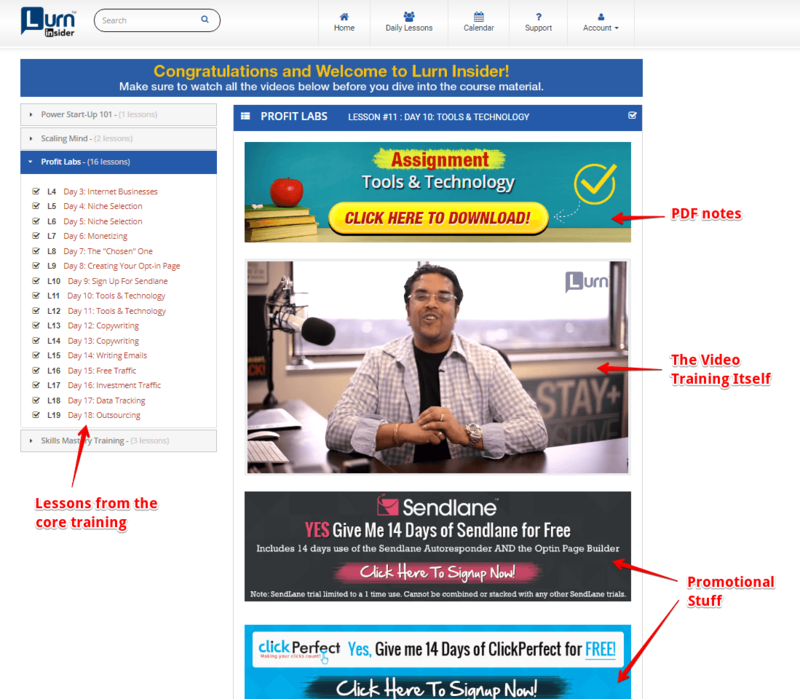 Overall, Anik has created a series of good training videos and some great notes within the Lurn Insider course. I think for people who are well versed in online marketing and has the budget to scale their business, it’s definitely one of the better resources (if you don’t mind some of the hype) for learning email marketing and paid traffic generation. A word of caution though. Once in a while, you’ll be offered to sign up for a one-to-one coaching with him and his team, either through email or inside the course. The cost of this is a whopping $12K, which might down sell to around $8K. So just keep this in mind when they ask for your contact number because this will be promoted entirely through a phone consultation. Now, if you are a total beginner wanting to start an affiliate marketing business, I firmly believe that it’s best to learn the practice of good SEO first BEFORE jumping into doing ads. For merely $30 per month, you can own a solid WordPress website, get some good content published and Google will be sending some free traffic your way. Seriously. 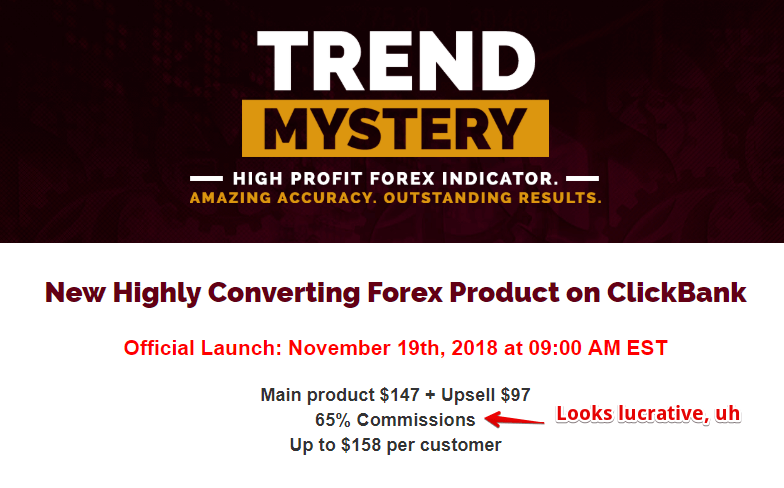 Also, if you are totally burned out (cash wise) and not getting any rewarding results from paid traffic, maybe it’s time to check out what this comprehensive entrepreneur training has to offer. This review has been much longer than I thought, but I just want to bring to the point that while paid traffic is highly efficient, there’s a time and place for it to happen AFTER you are more equipped with basic marketing skills and truly understand what your niche and recommended product is all about. Any views or questions related to this topic is most welcome. Feel free to leave them in the comment area below so that we can all learn from one another. I must say that this review is great Cathy. I am willing to give it a try but honestly, I don’t know if I am ready for it paid traffic generation. I think that it is not expensive at all when we see the features it give us. At least the Lurn Insider is a legit program and you can test it with a trial. It is awesome that you have read Rich Dad Poor Dad. Just the way you got hooked and decided to pursue passive income, that was the exact same thing that happened to me. I have been also following Anik Singal for some time and although I have not bought any of his products, I think he is an amazing online entrepreneur that have mastered the art of copy writing and email marketing. I have attended a lot of his webinars ranging from Inbox blueprint, FB Academy, copywriting, email marketing and others. His favorite is email marketing and you were right about his disinterest in Google’s SEO. His products are pretty expensive and the tactics is to start with $1 for most of his products before pitching to you the high ticket to get better access. All in all, I think he is a great online entrepreneur and a lot can be learned from him especially if you are willing to spend some money. The urgency and anonymity of doing anything on the internet can be a risky business. My first endeavor could have been profitable but the market I was to represent was neither of my own choice nor faith, but that was 40 years ago and I escaped, no more than disheartened. Rich Dad Poor Dad was a recommended reading that I will still be interested in getting, but that, I believe, is the distance that I may go with Anik. Thank you for the informative article though. Thank you for sharing this review. I find it really informative, but for now, my focus is to learn some basic online marketing techniques and how to write good content for SEO. However, I like the fact that one can access the Lurn Insider for a minimal trial fee. I am curious to know what it is all about before committing for a full month, so I may just go check it out. Thanks for the great review Cathy. I found your post when I was searching for information about Anik Singal. Indeed he is a reputable marketer who have craft a brand for himself throughout the years. Lurn Insider seems like a great deal even if anyone is paying $5 for the 21 days trial. But the subsequent $67 (and all the additional programs that you are obliged to commit to) might be a little costly for me. Not the most newbie-friendly platform, if you asked me. Thank you Cathy for providing this information. I’ve heard a bit about Anik and curious about his training. I’m glad that based on your review, his training seems legit. But, it seems he is not a fan of SEO technique? Hi Alblue. Wealthy Affiliate is a good training ground for learning about organic SEO. For most part of the course, you’ll be practicing on writing good quality content based on niche targeted keywords. Towards the end, is where the paid traffic lessons come in. Many people don’t know this, but WA also provides a strong foundation on PPC, without the hype and all those additional costs. I found the article very interesting until I came across the up-sell cost of $12K for the personal training. Is this a necessity of the product or is this just a nice to have add on? There are plenty of good salesmen that target their products to the people looking for online financial freedom, but when I read of those sorts of up-sells, it really sends warning bells ringing. While the product description is appealing, I do not feel comfortable committing to this one. With the rate at which online scams are growing, it’s important for programs like this to come up so as to reduce the number of casualties to online scams. Lurn insider seems like a great place to learn a whole lot about how to make a passive income online. Thanks a lot for sharing this review with us. Hi Cathy, Lurn Insider certainly does sound like it has some value, especially with the training aspect. And thankfully Anik is reputable, as I seem to be discovering more and more scams on the internet by the day. It’s hard to know what is legitimate anymore, so I’m thankful to find this review. I’m going to check this out further to see what’s inside and try and get as much value as I can from it, but I can’t see myself going monthly for $67. I have to say though that I’m generally not a fan of ClickBank. They sell a lot of rubbish so I wouldn’t be comfortable promoting a lot of their stuff. Hopefully, there is enough in this training to make me consider this option again.